Kevin C. McCarthy (pictured above, right) is an accomplished systems strategist and creative implementer. He is also a brand strategy consultant, web developer, UI designer, and photographer. 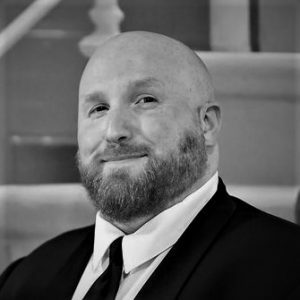 Trusted by numerous businesses and organizations in the tri-state area, Kevin applies proven, modern techniques to marketing and promotional tactics across all mediums with the aim to encourage positive brand recognition and maximize audience engagement. With his unique ability to fuse creative concepts, design thinking,and business acumen, as well as various real-world experience, he has been successful in bringing notable value to marketing efforts by focusing on what truly brings consumers to a business or brand and expanding upon it to help his clients reach the next level. © 2019 Kevin C. McCarthy. All rights reserved.